Mold problem expected to cost Ridgeway Rescue Squad some $250,000, said a report. My Cleaning Products gave out a tip to prevent such a huge mold removal expense. Both Molderizer and Safe Shield leave no chemical residues when sprayed. In addition, it stated that hotels, hospitals and mold removal companies already tested and proven them to be effective. A mold problem was discovered in Ridgeway Rescue Squad. According to a report from martinsvillebulletin.com, it was going to cost the group some $250,000. In response to it, My Cleaning Products shared a method how the public could prevent such a huge mold removal expense. Based on the report, which was posted on January 02, 2013, the mold spread to the sheetrock, floor, ceiling tiles and other parts of the building, shared My Cleaning Products. It was discovered, it added, in March during the renovation of the kitchen. It was said in the post that the determined cause of mold growth, which were water drainage issues, were already fixed, MCP related. However, it relayed according to President Darren Lockridge's statement that mold removal and some remodeling were still needed in the building. Here is an excerpt from the post Mold Gets Ridgeway Rescue Squad in Money Crisis by My Cleaning Products. 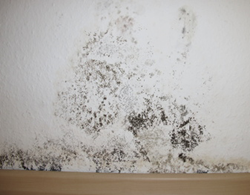 “Mold, if not detected and removed early, could cost anyone a huge expense. Take, for example, the mold case in Ridgeway Rescue Squad building in Virginia. It is expected to cost the organization some whooping $250,000. The effects of mold to health and structures bring in huge financial problems, said My Cleaning Products. Particularly, it detailed that they could cause huge bills for medications and treatments and expenses for repairs and furniture replacements. However, it said that one could save himself from all those things if mold is detected and removed early. And to do that, it specified that a person must be wary of mold signs and must prepare mold removal sprays. Nonetheless, MCP said that the mold removal products to use must be safe besides effective. And being organic-based, it asserted that Molderizer and Safe Shield are the best mold sprays among others. As it explained, both Molderizer and Safe Shield leave no chemical residues when sprayed. In addition, it stated that hotels, hospitals and mold removal companies already tested and proven them to be effective. To try them themselves, MCP also encouraged the public to get the Molderizer and Safe Shield Complimentary Samples. They are available, it added, at MyCleaningProducts.com.